Bike Rack » Originally uploaded by rprins. 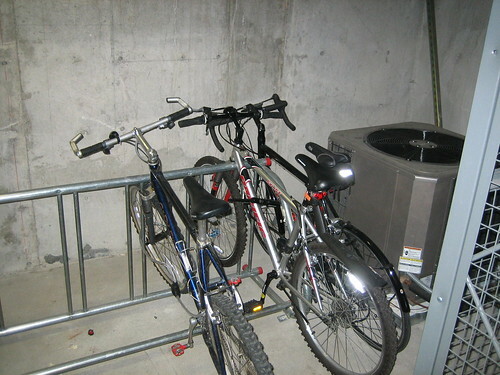 Sometime in the last week my Gary Fisher Paragon mountain bike was cut loose from its lock and taken from the secure garage at my condo. In this picture it is the bike on the left. It has Shimano XT components and clipless pedals that are Red. It should also have a Minnesota bike license on it from several years ago. If you happen to see it or see it for sale online, please let me know. I finally finished getting all of the photos from our recent trip to Hawaii online. You can see all of the pictures that Jamie and I took by looking at the Flickr tag ryjamHI08. 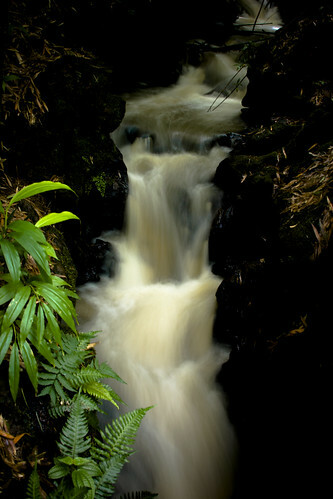 You can see all of the photos that I took in my Hawaii Vacation collection. The next part is to go over the video that we took and put some of that online too. Hopefully I can get that done before the month is over. Author RyanPosted on Wednesday, May 7th, 2008 Wednesday, May 7th, 2008 Categories PhotosTags Asides, Photos, vacation photos1 Comment on All Hawaii Photos Online! Starting this past Monday on PBS I happened to stumble upon a documentary titled “Carrier” (website). This show is a ten part series that was airing two hour long segments each night this week. For some reason this show captured my attention right away and I have now seen the entire series. I think, for me, the part that fasciniates me is how they live their lives on the carrier while they are out at sea. There are the typical story lines that you hear when it comes to military families (e.g., baby born out to sea, the government owns me, I miss my family), but it was really interesting to see how these sailors reacted throughout the series when it came to these themes in their lives. 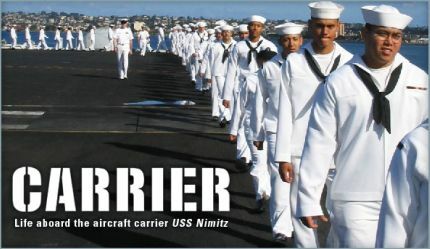 The ten hour series covers the entire six month deployment of the USS Nimitz from back in 2005. The series did a good job of mixing what life is like every day on the carrier with the life changing experience it gives the sailors. Some of those experiences are extremely beneficial to some sailors who may have otherwise gotten themselves into trouble back home, while others are more heart wrenching, like the birth of a new child or even missing their children who they have to leave back home. Overall, the series was a great watch, it is in HD (which I love, because I’m an HD junkie), and it provided a view into the lives of those on the carrier like I’ve never seen in another show before. If you have the chance and you missed it on PBS, all of the episodes are available online at pbs.org. Jamie Blue » Originally uploaded by rprins. The second day’s worth of Hawaii photos are now online. These are from Friday, April 11th. On this day we spent some time on the beach, went to the Feast at Lele, and I asked Jamie to marry me. Unfortunately there aren’t any photos of the proposal, but we have some “fake” ones coming up that we took on Wakiki Beach on our last night. You can check out the full set here. CRW_9931 » Originally uploaded by rprins. I finally got to putting the first day’s worth of photos online. I think that I will need to put them up a day at a time in order to get them all done. It is too big of a task to do all in one big batch. I’ll try to do a day every night this week, but we’ll see if I can stick to it. In the meantime, check out the first day’s set. It is of our trip down the Hana Highway. Figured it was time to go ahead and update the ‘ol blog. Now we’re running on WordPress 2.5. In doing so, I realize what a mess I’ve created for myself. Maybe when I get some time I’ll clean up some of the nasties lying behind the scenes.